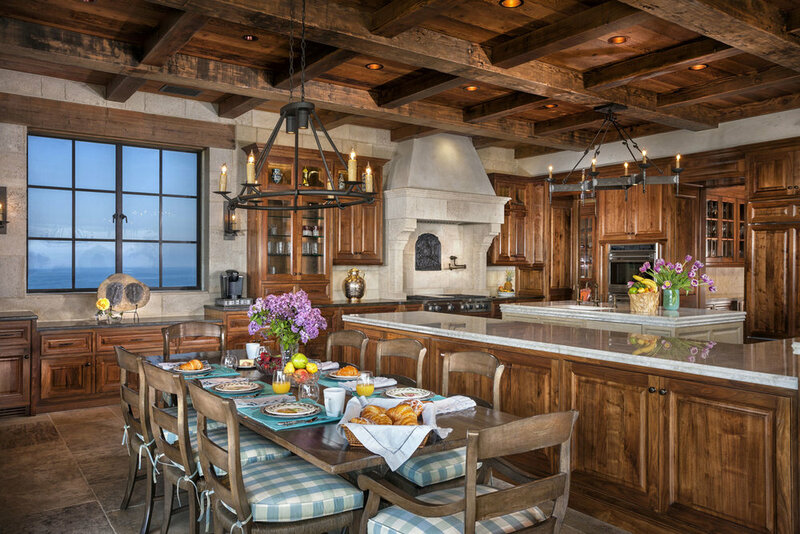 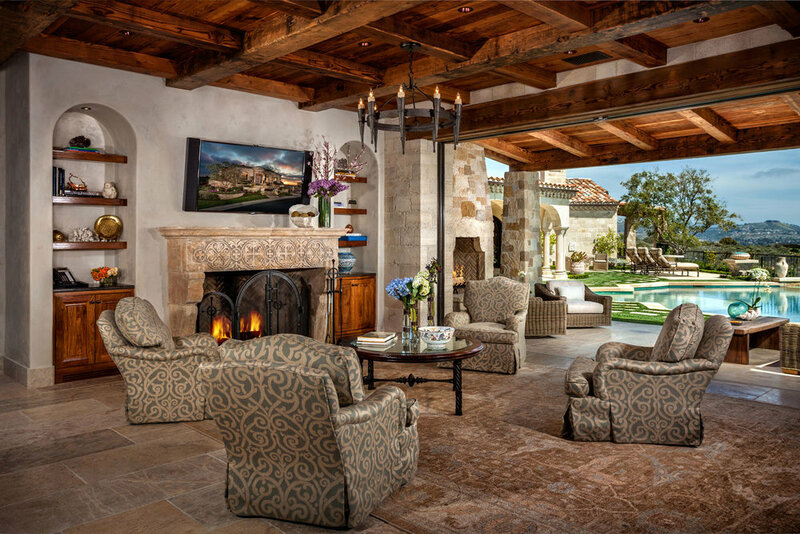 Corbin Reeves is often asked to execute architectural designs with a European influence. 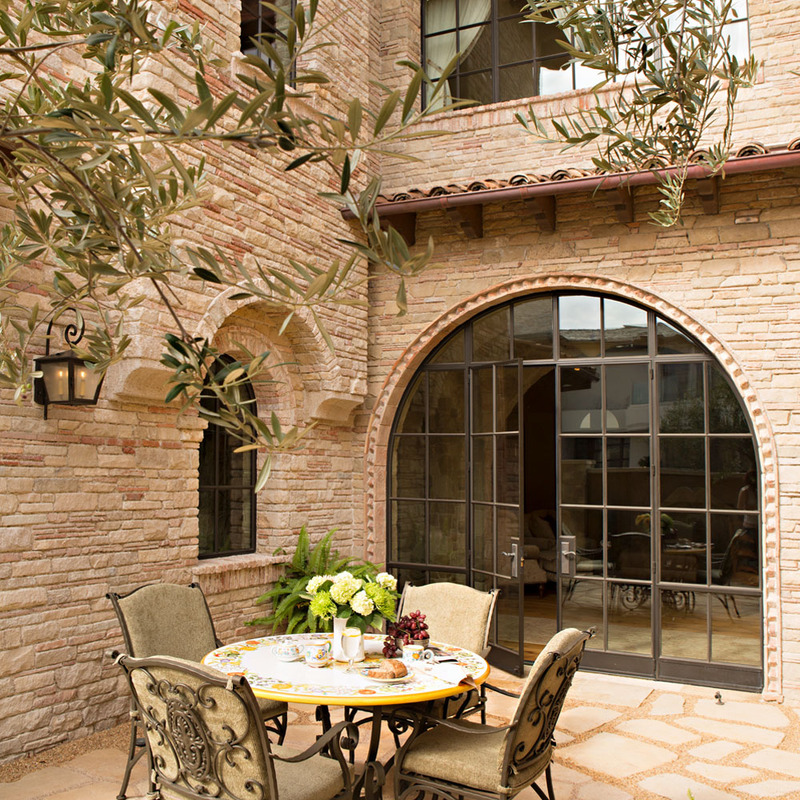 Pacific Ridge is a Romanesque-inspired that brings the inside out and the outside in. 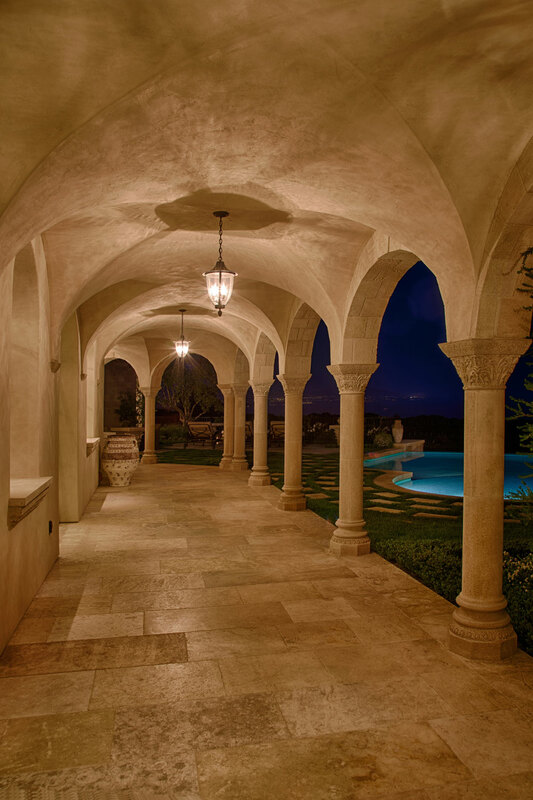 The house is designed around the pool with a groin-vaulted loggia that wraps around the exterior and multiple covered porches. 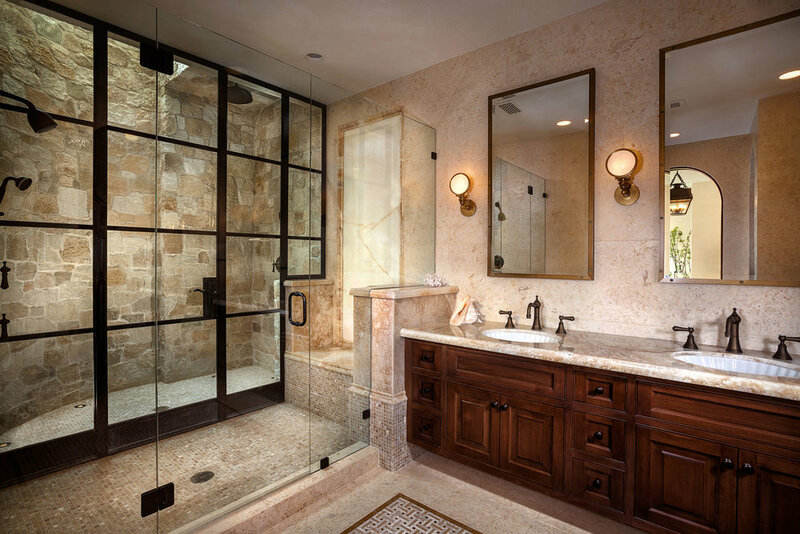 Expansive openings make the flow to the outside effortless while the steel doors add a slightly contemporary element to the, otherwise, traditional new residence.